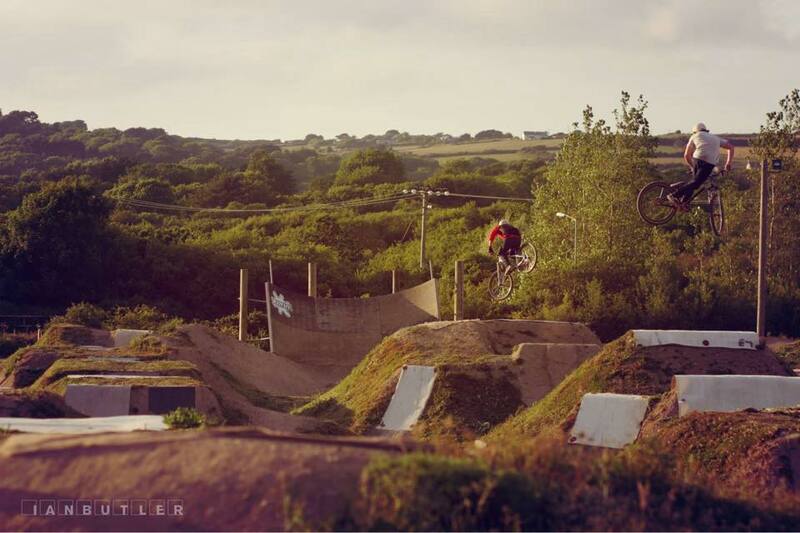 The Track in Portreath, Cornwall is a family friendly bike park. Built from the dirt by Steve and a band of guys passionate about dirt jumping. It is in it’s 11th year of operation with a full makeover for 2017. There are trails for all levels from a 2 year old on a balance bike to a pro-rider hitting the big lines. Each curve and lip has been expertly designed and well maintained. With a cafe, seating area in and out, kids play area and plenty of parking come spend the day. 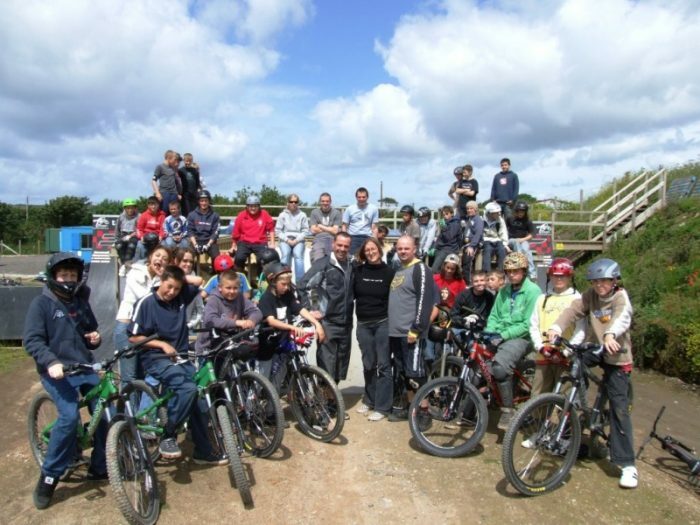 The Track is the perfect destination for a fun day as a family, individual or group of friends. Expect a friendly welcome, great vibe, expert advice and great coffee. Come ride with us. What’s Here at The Track? A Track Tribe holiday camp is an active way to keep your children entertained & learning for a day or week during the summer holidays. Our camps run from 9am – 3pm daily, for Children aged 5-12 years of all sporting abilities and backgrounds. 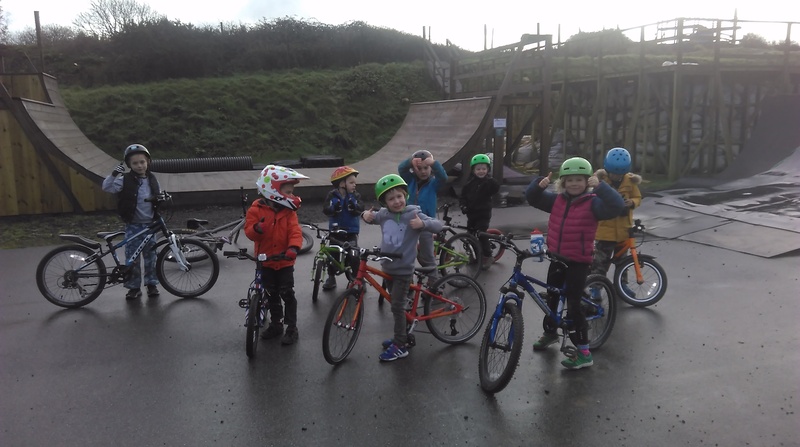 Over the course of the day your child will have the opportunity to make new friends, learn an array of biking/swimming agility skills and take part in sporting activities and team challenges. 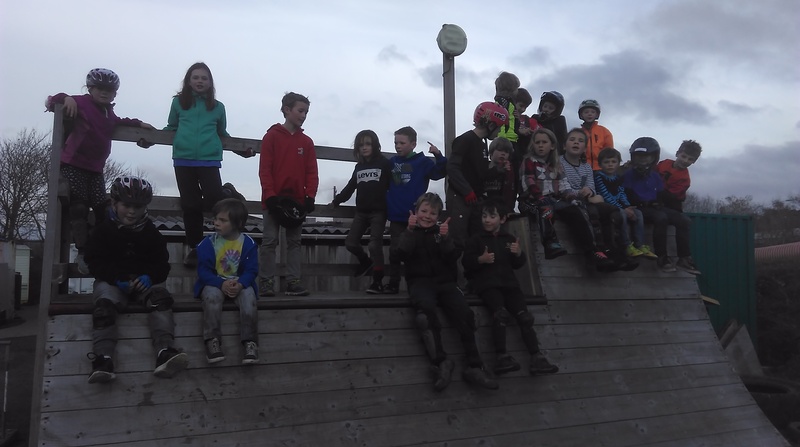 They will also learn surf safety, bike safety, basic first aid and bike maintenance depending on which sessions they attend over the week. For more information and to take advantage of our early bird pricing click here. 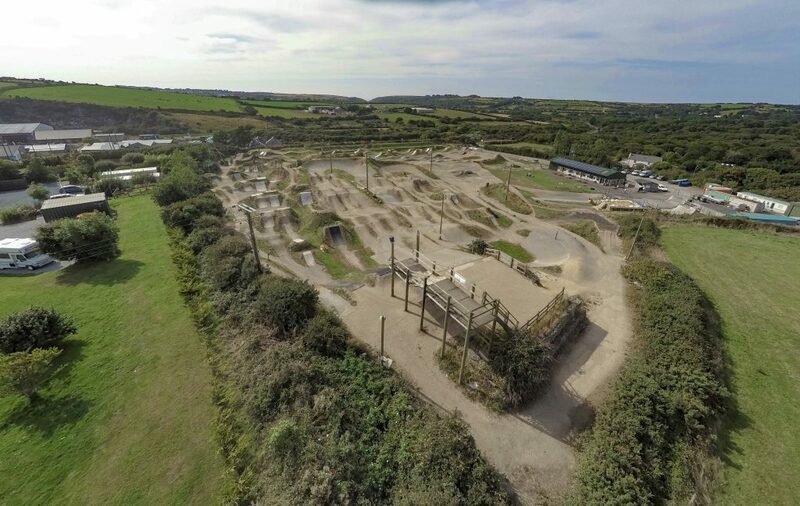 The Track is a five acre fun filled dirt facility based in Portreath, Cornwall. 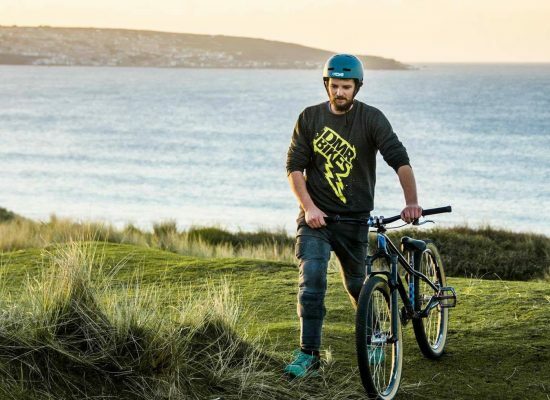 Suitable for mountain bikes, BMX’s and balance bikes. 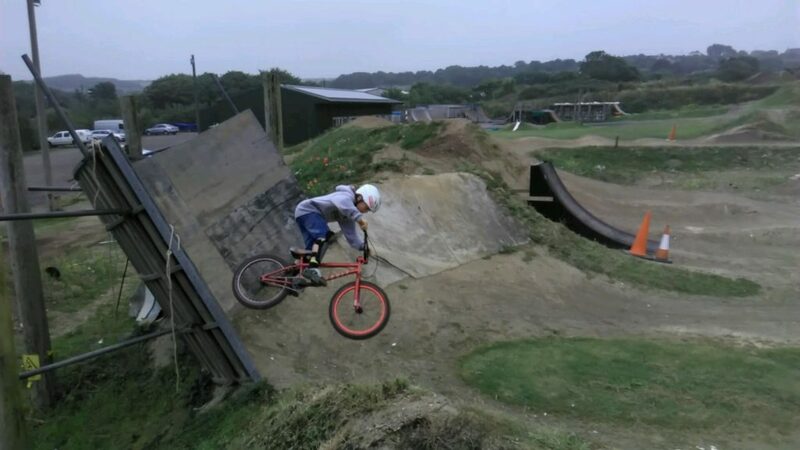 There is a range of Trails (dirt courses), Jumps and Park obstacles, including Foam Pit that will suit every level of ability, ranging from our beginners to the technical and complex. For ages 2 years up there really is a trail for everyone. 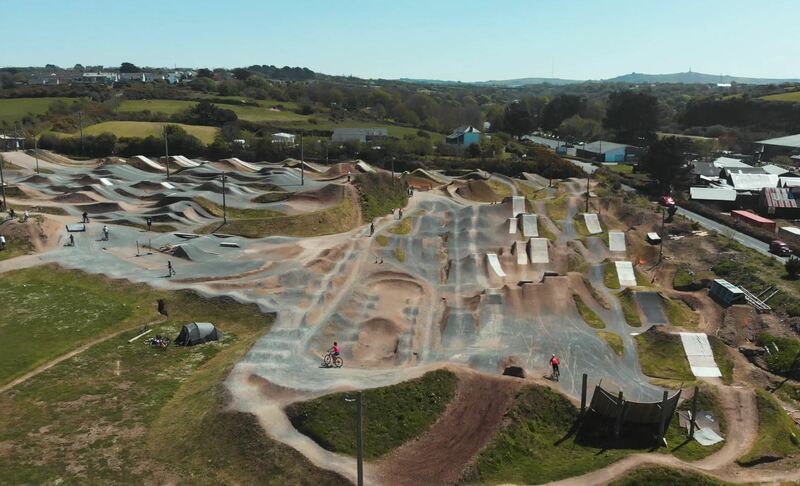 Check out our opening times and turn up and ride, no need to book. 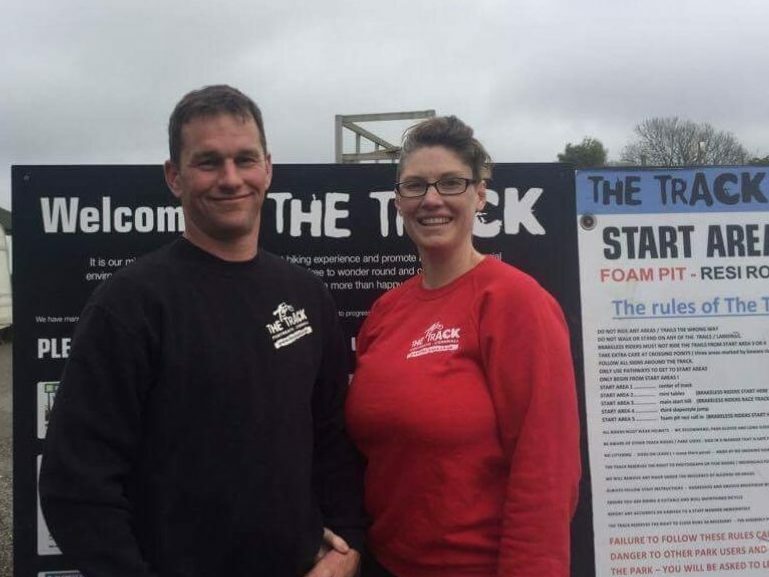 The Track have been running training courses since 2006 in our 5 acre enclosed site. 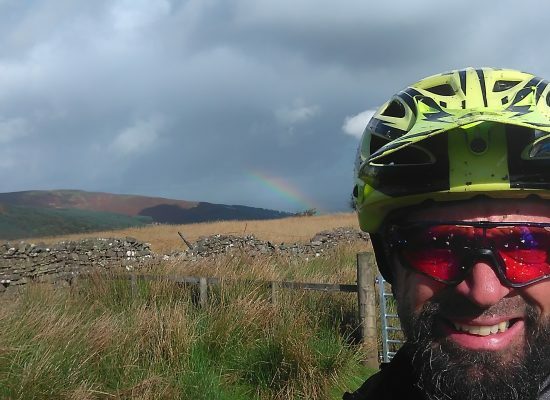 The instructional training programmes have been designed and are delivered by highly experienced motivated cycle coaches with 60 years biking experience between them. The Track provides a safe, fun and exciting learning environment that will give high attention levels with accelerated learning. 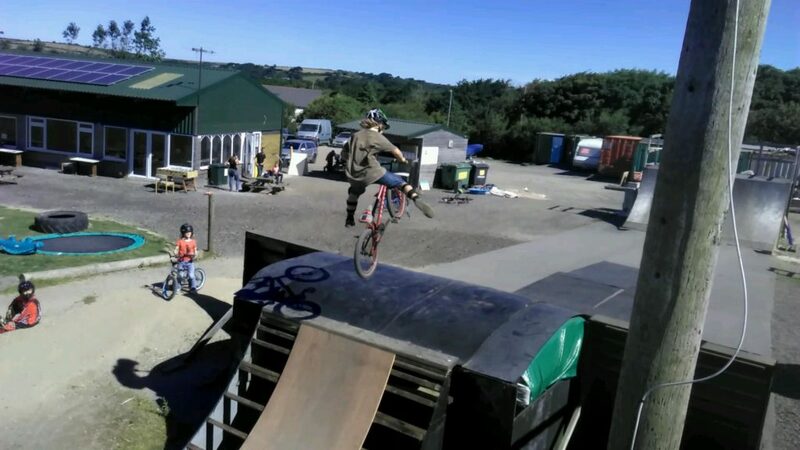 Whether you are taking your pedals as a novice, a beginner rider wanting to build your bicycle skills and confidence or an advanced bike rider that wants to push their limits using our Foam Pit, Resi Ramp and Mulch jumps to hone their skills before riding the Advanced, Pro-Line & Slope-style runs, The Track is the prefect environment. For our NEW courses for 2019 and ONLINE BOOKING click here. 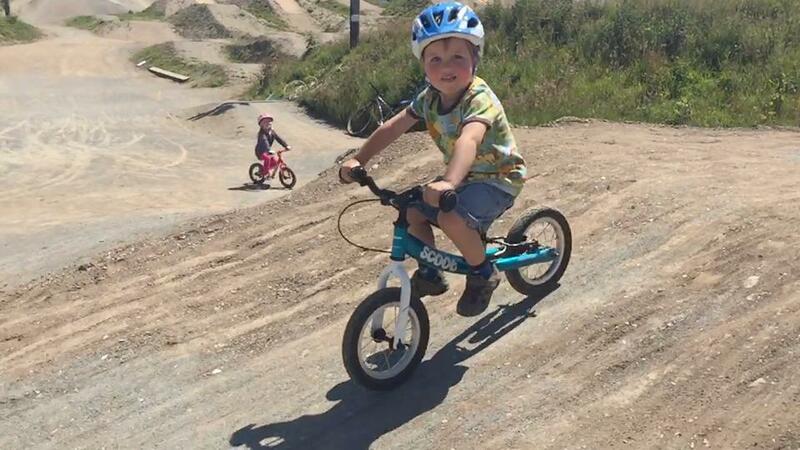 We have a full range of Kona, DMR, Isla and BMX bikes to hire for the individual or group, including Balance Bikes. All maintained and serviced at our onsite Bike Workshop we can offer the best advice to get the best bike for you for your day at the Track. We recommend contacting us to reserve a bike to avoid disappointment. The Track is the perfect venue for a Birthday Party. Prices start from 3.50 pp We have Indoor & Outdoor play and seating areas. Bring your own cake and food – enjoy! Tuition and bike hire are available at additional cost. To find out more info. click here. Excellent day at The Track today. 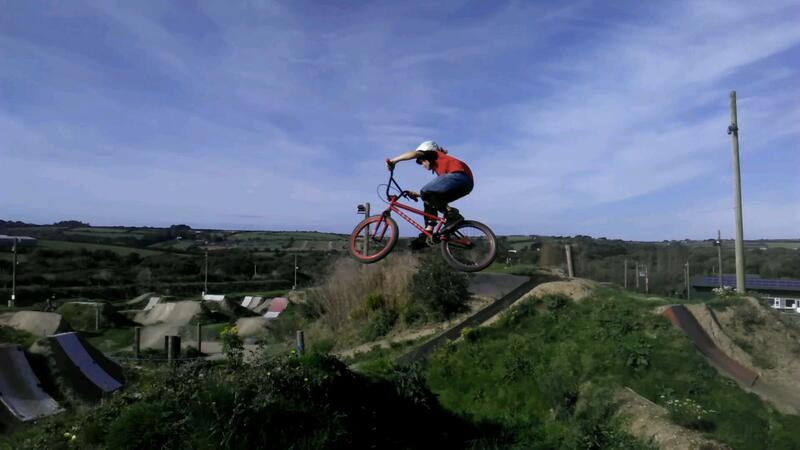 Great jumps, really welcoming place and something for all abilities. Can’t recommend it highly enough! We came to the track yesterday from Bournemouth, we had a really great day, staff were really friendly and were interested in our riding background! We felt the jumps were well maintained and the site was set out well. Fantastic training course that is safe but loads of fun. Superb facilities for parents to sit in comfort with a hot drink. What a find!